Who Says Singapore Lacks Passion? I went to Bukit Merah View Food Centre for brunch this Saturday morning. I love heartland life. While Marina Bay Sands, Gardens By The Bay, etc. 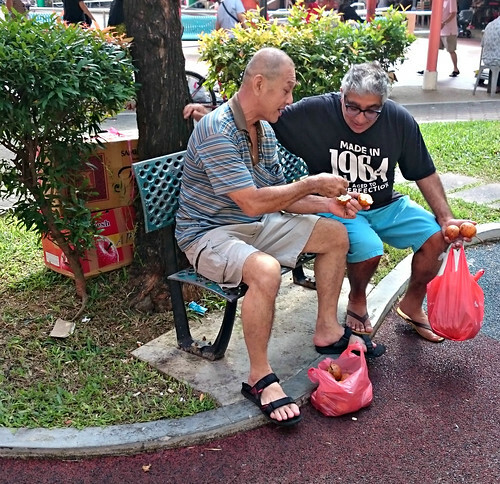 have more social airspace, the silent majority and real Singapore resides in the heartlands. Beautiful incidences that don’t make it to social media play out in the heartlands on a daily basis. Well, unless I’m part of it. Today, I was part of another one. After brunch, as I headed home, I caught the eye of a gentleman. He was eating a fruit from a bag at his feet. He motioned to me. I approached him. 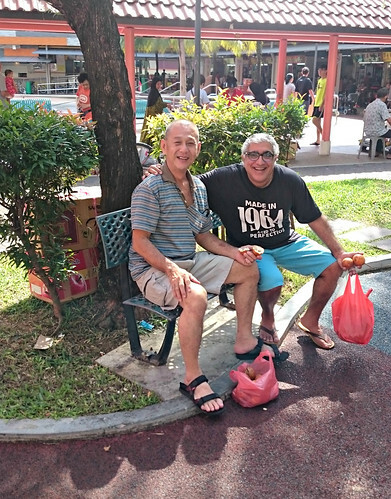 He beamed a huge smile and offered me two fruits from his bag – passion fruit, he explained. Feeling pai seh, I declined. He insisted. Having little resolve, I easily caved. I was so touched that I asked if I could take a picture with him. He was lavishly thrilled and happily agreed. After the picture, he offered me two more passion fruits. It was impossible to refuse this beaming gentleman. I smiled at a stranger. In a flash, I left with four passion fruits. All it takes is eye contact and a smile. Think about it. That’s where passion always starts – with an eye contact and a smile.